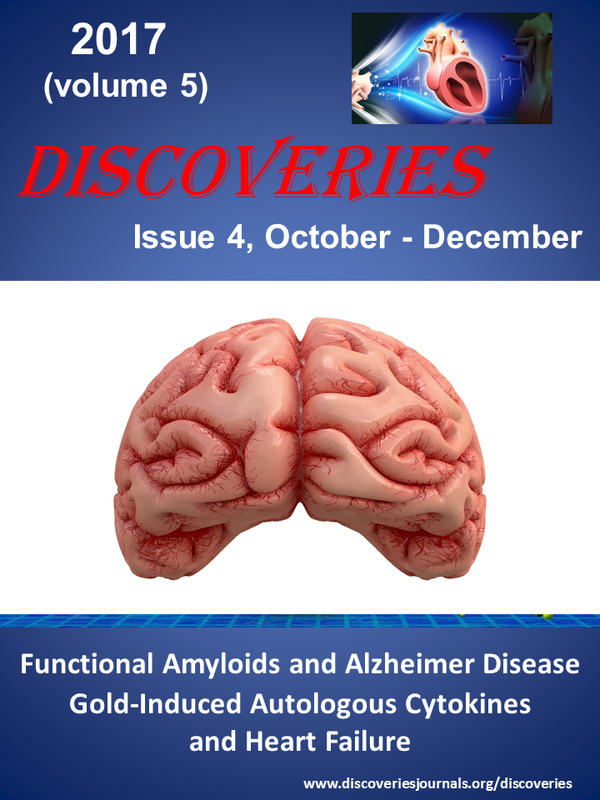 DISCOVERIES high quality, open access, peer-reviewed journal covering all areas related to medicine, biology and chemistry. 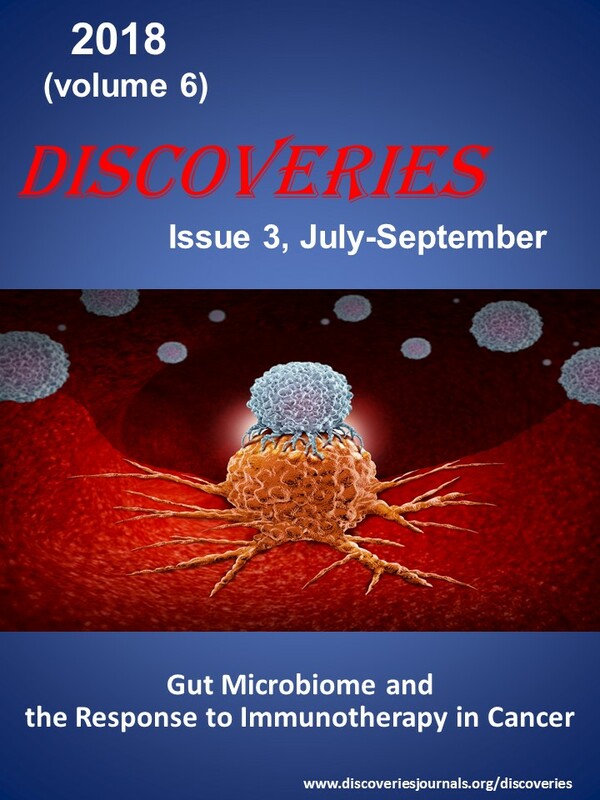 DISCOVERIES (ISSN 2359-7232) is an innovative online platform for publishing open access cutting-edge peer-reviewed research discoveries in medicine, biology and chemistry. 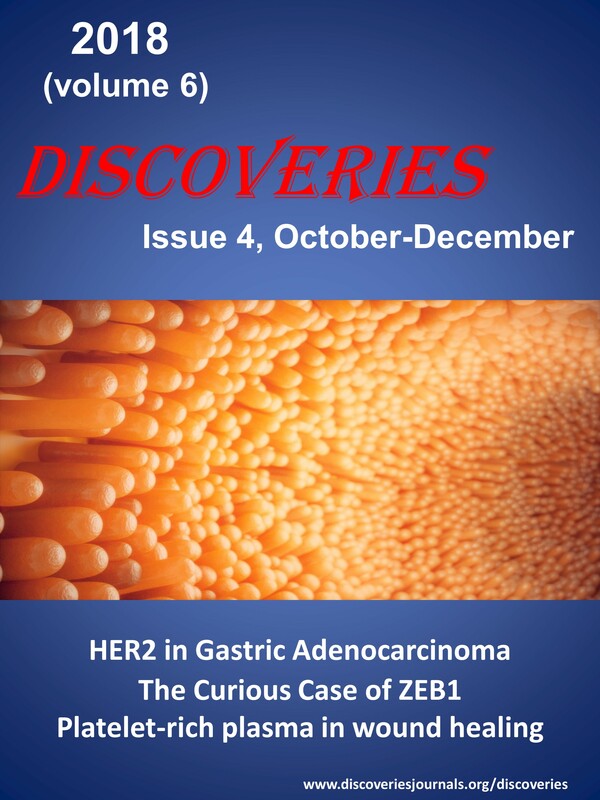 Discoveries was launched in October 2013 by an enthusiastic group of researchers from Harvard Medical School (USA), University Hospital Aachen (Germany) and Cleveland Clinic (USA). It aims publishing 20-25 articles/4 issues/year. 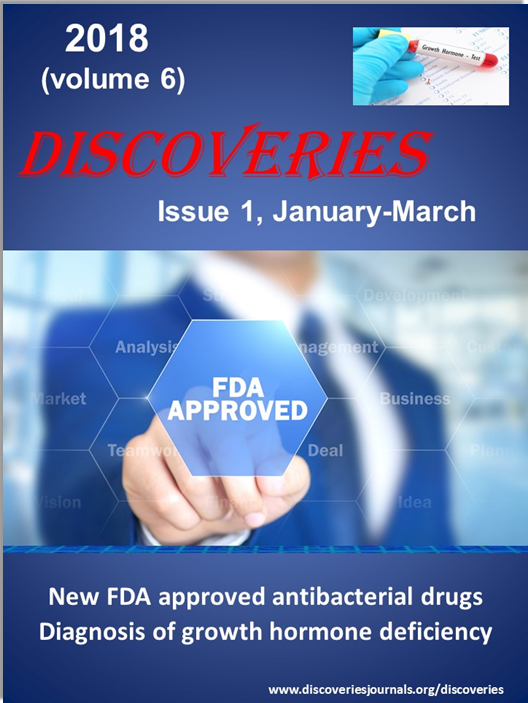 Discoveries (abbreviated: Discoveries (Craiova)) successfully passed the Scientific Quality Review by NLM-NIH for PubMedCentral/PubMed indexing and the Technical Review by PubMedCentral is ongoing. 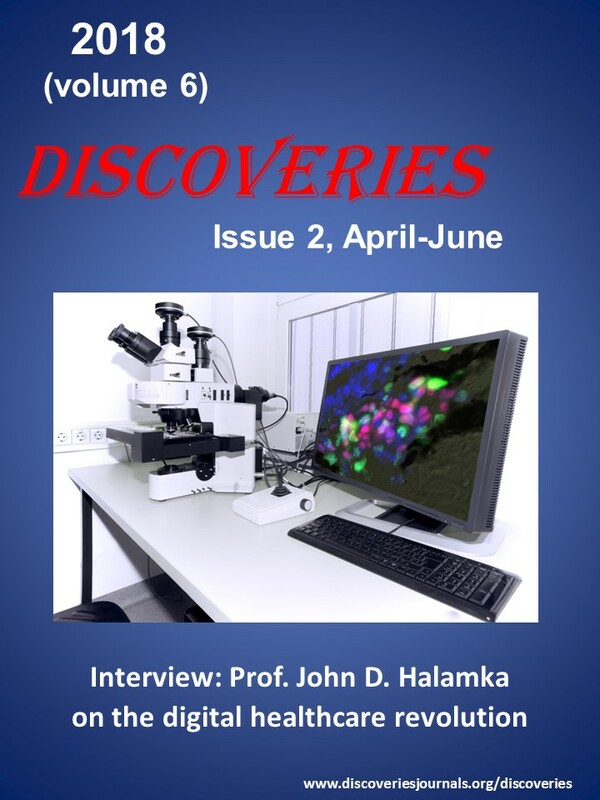 Once the Technical Review is successfully completed, all articles published in Discoveries will be included in PubMedCentral/PubMed. 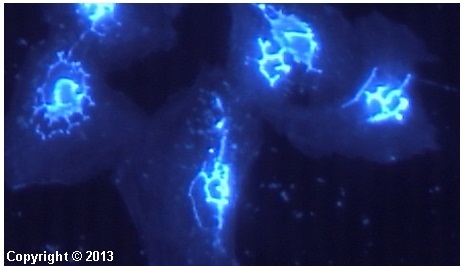 First articles published by NIH funded researchers are now on PubMed. Currently, we are offering a FREE and FAST submission (in only 1 minute). Manuscripts are published free of any charge (a fee for accepted manuscripts will be introduced in the future). Strict EDITORIAL and ETHICAL RULES are enforced to maintain high quality standards of the accepted manuscripts. Submitted articles are first prescreened by the Executive or Senior Editors within 48h. If selected, a post-peer review decision is communicated to the authors within 10-14 days. 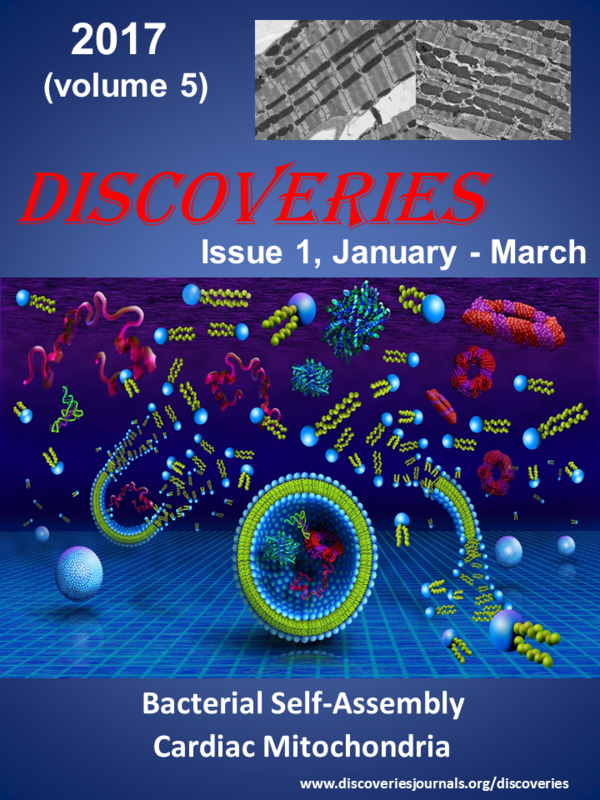 At this time, Discoveries only accepts articles from authors that are not members of Discoveries' Editorial Board. More than 20 articles were rejected within the past 6 months (last rejected article: April 13th, 2019). Current acceptance rate: <20%. "CELL SECRETION & MEMBRANE FUSION"
Review articles should be addressed to a broad audience and designed as comprehensive as possible. They should present both a summary of the current status and new insights. Reviews are organized as follows: Abstract, Abbreviations, Table of Content, Main Body of the Manuscript, Conclusion, Acknowledgements and Conflict of Interest. Supplementary material is not recommended, but can be accepted. 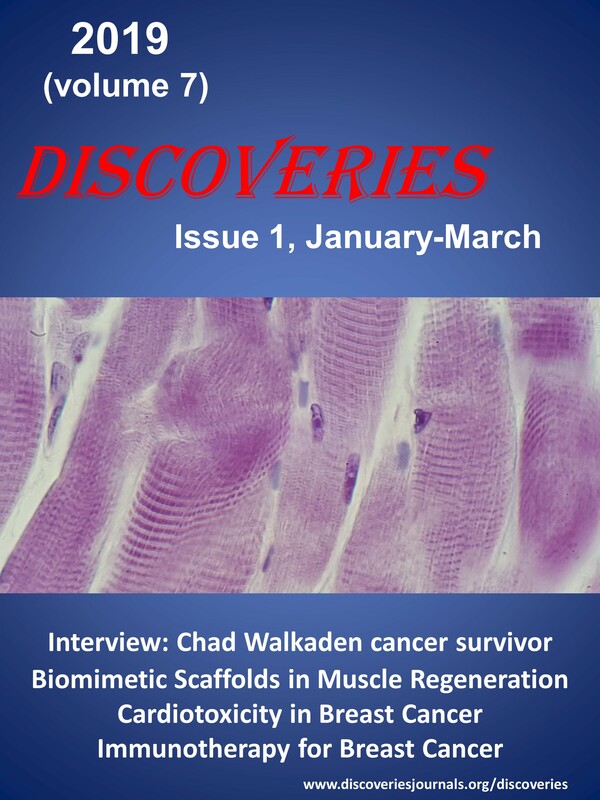 Focused reviews/Perspective articles should highlight a cutting edge research topic. Perspectives present author's opinion on future developments related to a specific topic. Usually, these are invited manuscripts. However, we are also encouraging uninvited submissions. 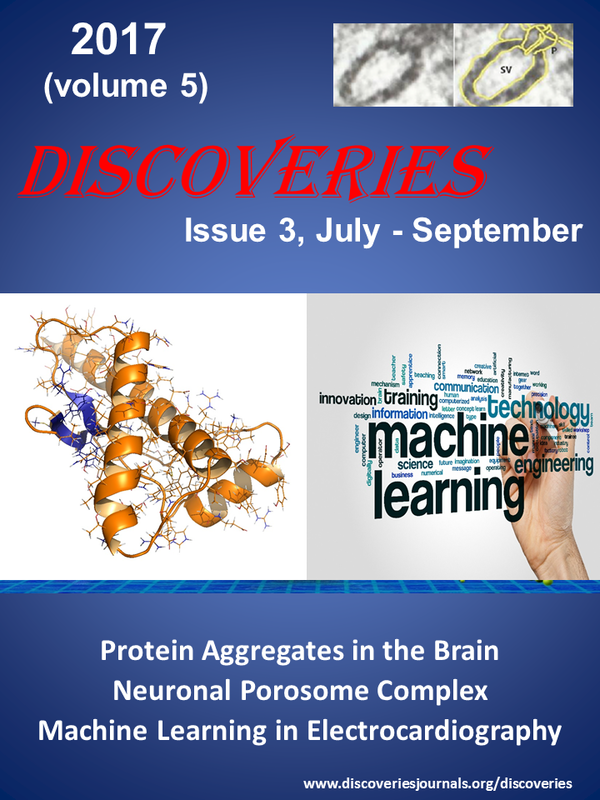 Experimental/Original manuscripts should present significant advances within a specific field of research related to the aim of the journal. Articles should be organized as follows: Abstract, Abbreviations, Introduction, Materials and Methods, Results, Conclusion, Acknowledgements and Conflict of Interest. Supplementary material should be reserved only for information that is not critical for understanding of the manuscript. 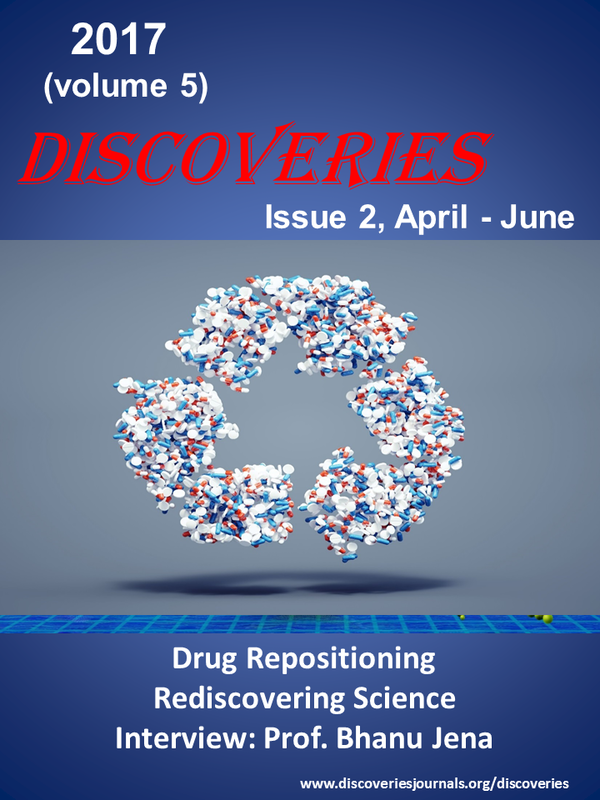 Editorials present viewpoints, comment on a specific article previously published in DISCOVERIES or DISCOVERIES REPORTS, or are related to other scientific topics (such as politics of science). Discoveries in Images are short highlights of a discovery with 1 figure and several paragraphs, concisely describing the discovery, its importance and impact.